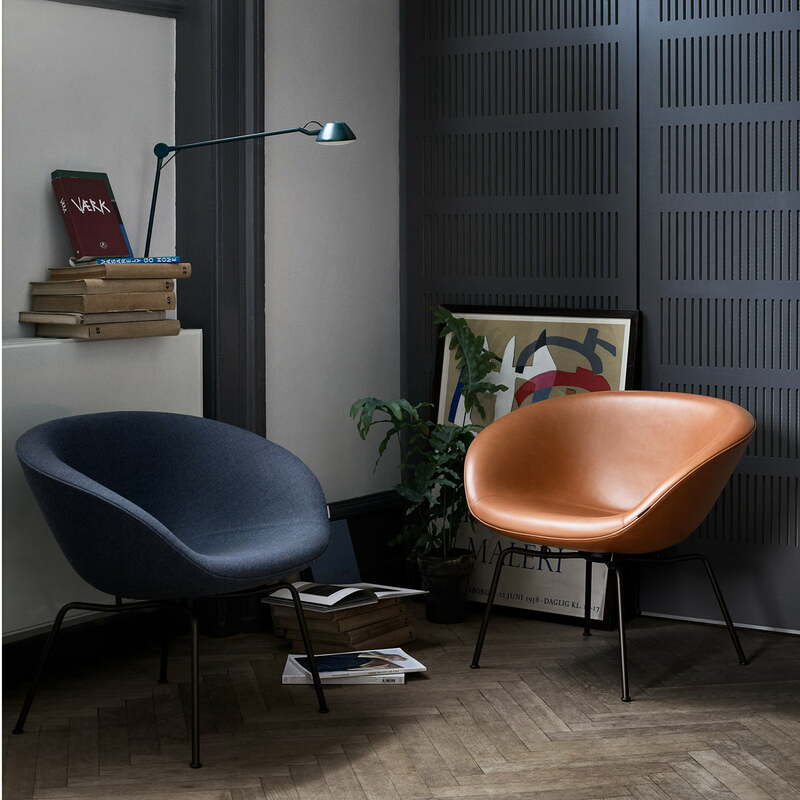 The Pot armchair is a stylish and comfortable piece of furniture that was designed by Arne Jacobsen for the SAS Royal Hotel in Copenhagen back in 1959. For a long time, the armchair had been forgotten about along with the Swan armchair and Egg chair that had been created at the same time. Today, thanks to a new edition by Fritz Hansen, the chair is now available for your own home, introducing Nordic charm into every interior. The central element of its appearance is the curvy shaped seat covered with high-quality fabric or leather. Armrests and a high lumbar support increase comfort and gently embrace the body so that you can comfortably sit for hours. The seat is supported by a filigree frame consisting of four legs, giving the overall chair a light, almost weightless appearance. Thanks to its timeless shape, the Pot armchair can seamlessly be introduced into any existing seating area and serve as a reading chair while never failing to leave a lasting impression.. Upon demand, the armchair is available in various other colours and fabrics. Isolated product image of the Fritz Hansen - Pot Chair, chromed frame / blue (Fritz Hansen Colours). The filigree frame and the inviting seat make up a harmonious overall appearance. 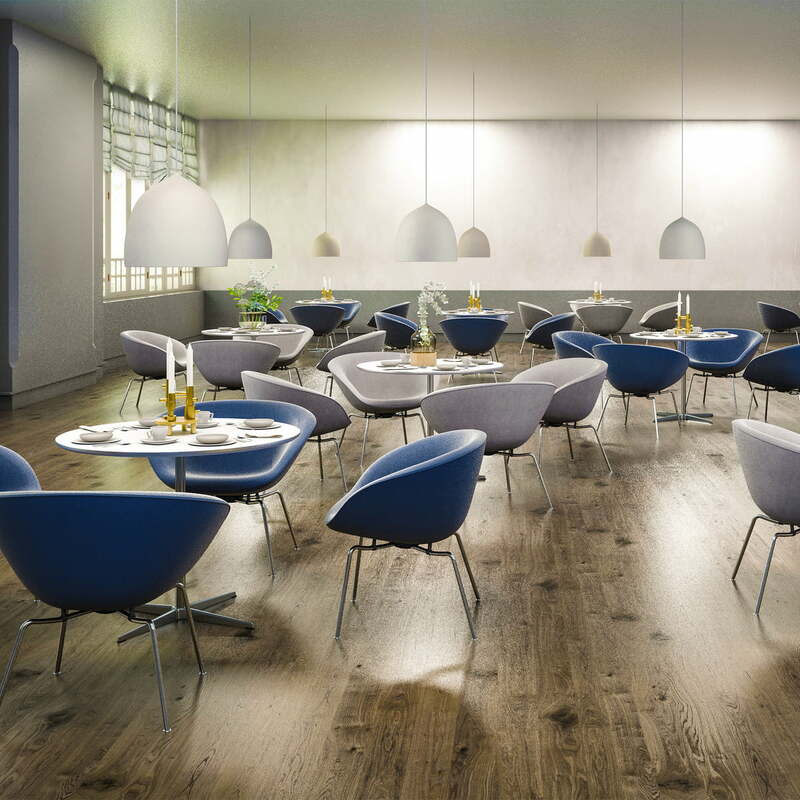 Lifestyle product image of the Fritz Hansen - Pot chair in blue and light grey. While the seat is characterised by its soft silhouette, the base boasts an angular shape. 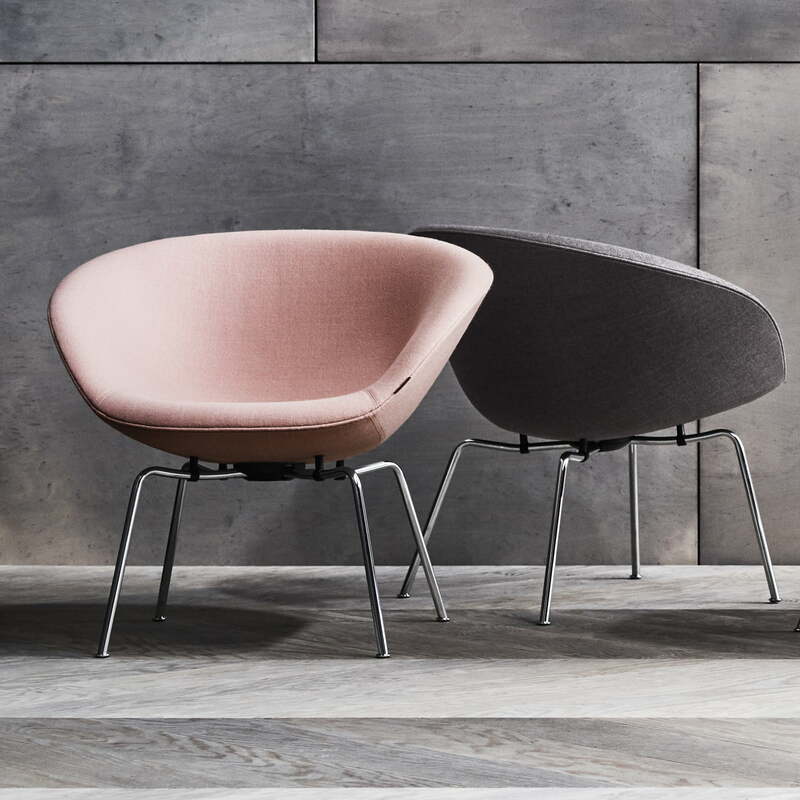 Lifestyle product image of the Fritz Hansen - Pot chair. Not only is the chair suitable for at home, but it is also perfect for restaurants or hotels. Fritz Hansen - Pot Chair in Various Colours. 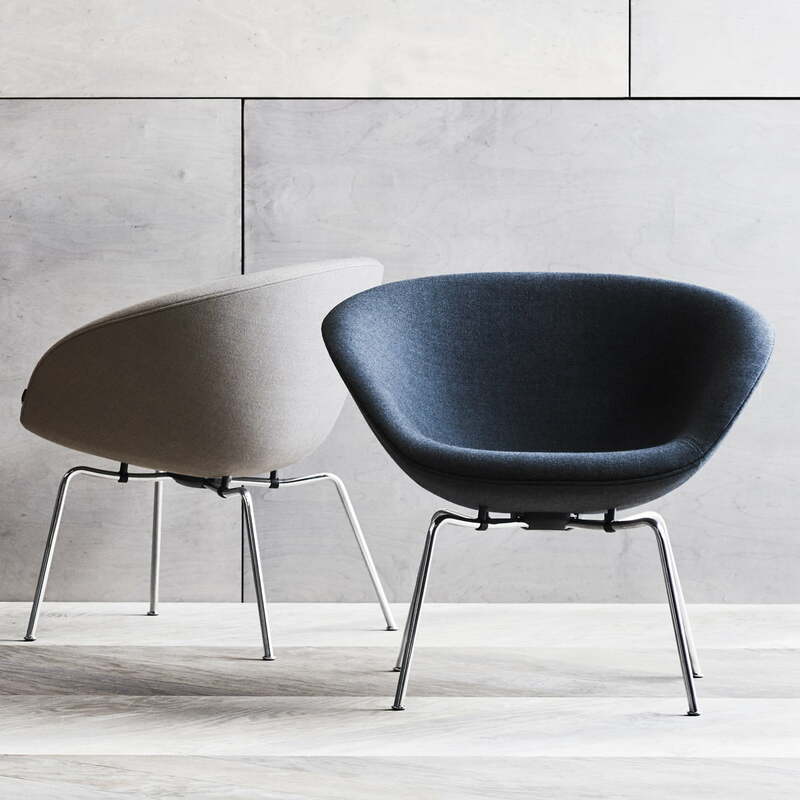 Group product image of the Fritz Hansen - Pot chair. The chair is available with fabric or leather upholstery. Both versions of the chair can be combined perfectly. 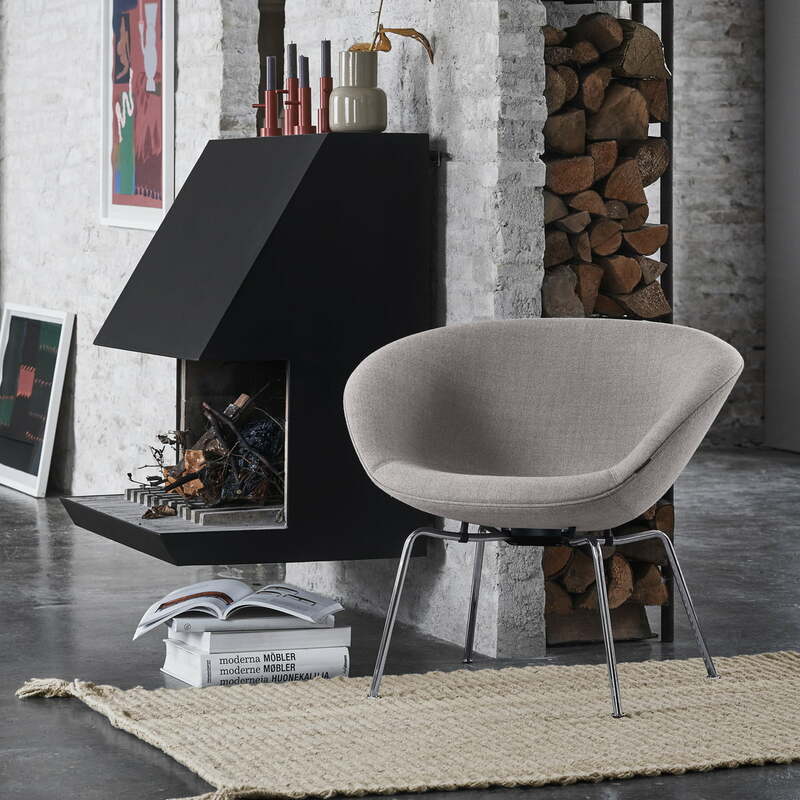 Lifestyle product image of the Fritz Hansen - Pot Chair in a modern setting on a bright carpet in front of the fireplace - a cosy atmosphere that invites you to relax. 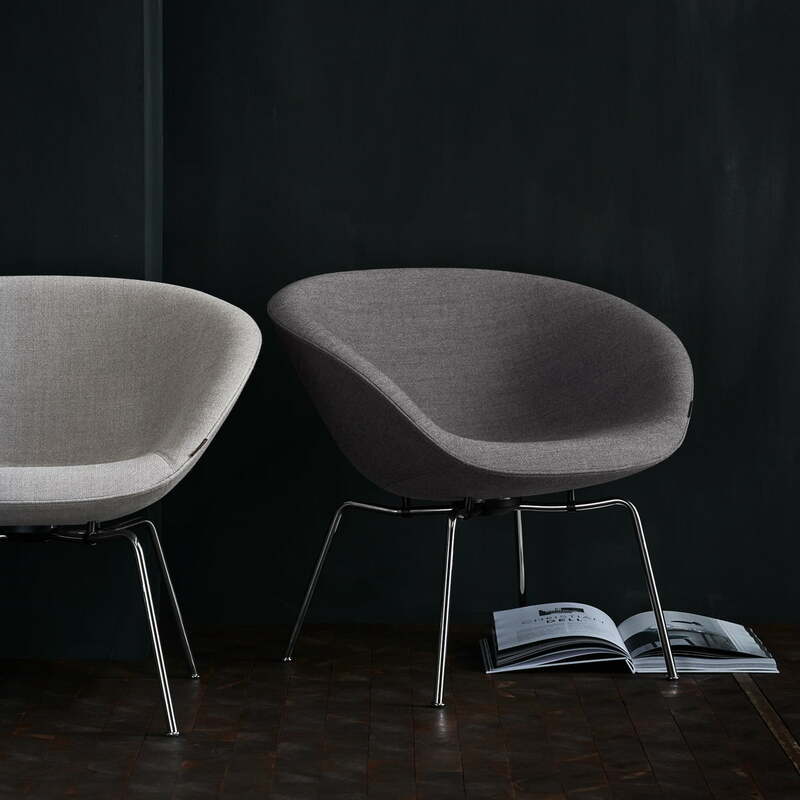 Lifestyle product image of the Fritz Hansen - Pot chair. The Pot armchair consists of a rounded, harmoniously-shaped seat and an angular tubular steel frame. The Fritz Hansen - Pot armchair integrated into a sitting area with colour coordinated sofa. A modern ensemble in front of a simply decorated bookcase. 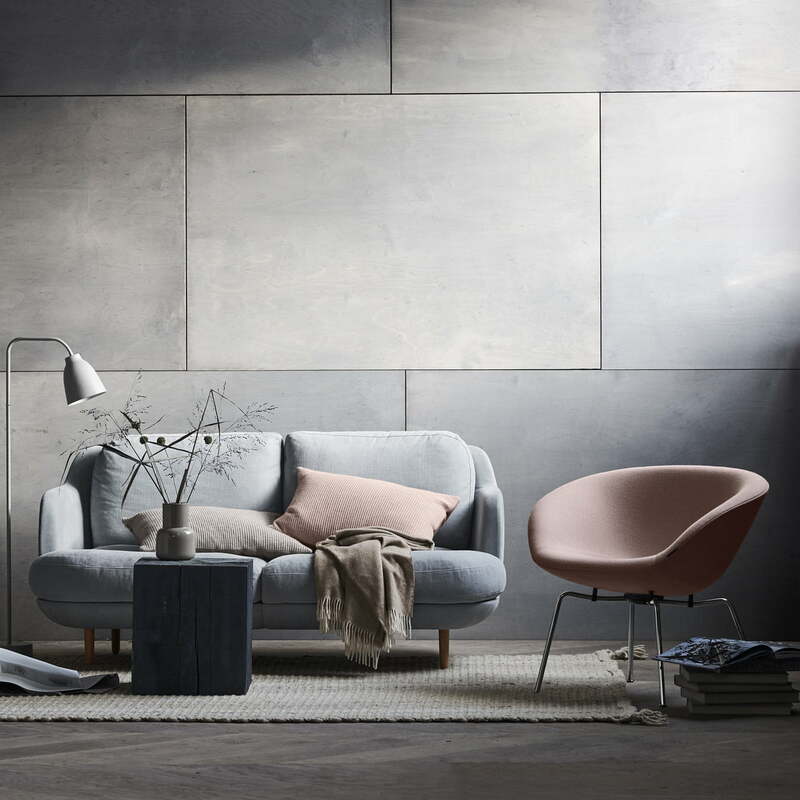 The Cosy Lune 2-seater sofa by Fritz Hansen with the matching Pot chair in soft grey and shades of pink. A modern living room ambiance in front of a grey wall. Group product image of the Fritz Hansen - Pot chairs. Available in a variety of colours, every model can be perfectly combined thanks to the harmonious variety of colours.